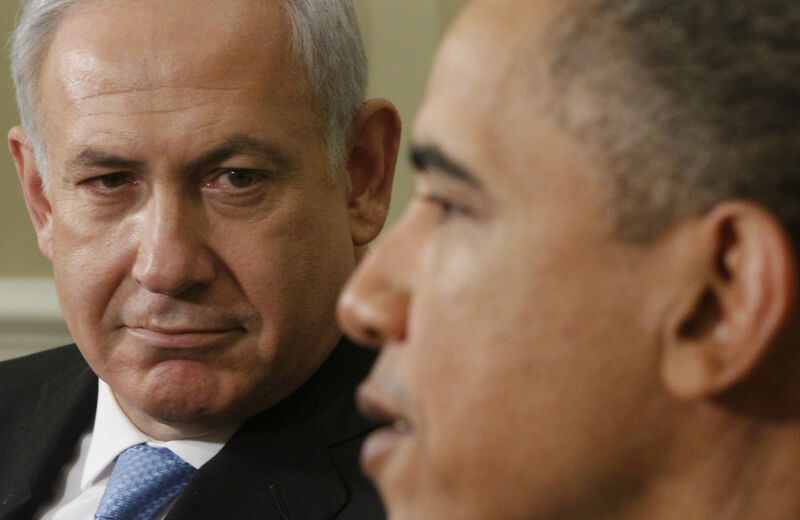 Inking a deal with Iran soon would box the Israeli Prime Minister into denouncing a major foreign policy achievement. Benjamin Netanyahu says he’s definitely coming to Washington to deliver a speech about Iran to a joint session of Congress. He’ll almost certainly oppose a nuclear deal whose details aren’t public yet. The whole “tawdry and high-handed stunt,” as Senator Patrick Leahy put it, will be correctly read as an insult to the president. So how best for Obama to make his displeasure known? He’s already denied Netanyahu an audience. But if Obama really wants to stick it to the Israeli prime minister, he should fight to ink a deal with Iran before the March speech on Capitol Hill. That would dare Netanyahu to come and forcefully denounce a major global foreign policy achievement. Democrats, at least, will be loathe to turn their backs on Obama. The speech already faces stiff opposition from the party—fifteen members of the House and three senators are on board for a boycott. Even some right-leaning pro-Israel groups, if the current rifts among the Israel lobby are any indication, might not openly revolt against a deal. What Obama has going for him is the ability to correctly cast this an issue of avoiding a confrontation with Iran rather than seeking one. It worked last year when Obama beat back a sanctions bill that would’ve quashed talks, and it will work this time. Imagine Netanyahu declaring, as he did after the interim deal with Iran, that an comprehensive accord limiting Iran’s nuclear program is a “historic mistake” when Obama has half the American body politic at his back. The extension, though, was useful for Obama: whereas in November his party was coming off a beating in midterm elections, today the economy is in better shape and Obama seems to be feeling his oats. The sort of swagger he showed in the State of the Union address will only serve to help the president sell an agreement. Ironically, the most detailed information the public has about a potential nuclear deal comes through Israeli officials, who are informed by the United States and its negotiating partners about talks, then go leak it to the press. Even if the Israelis are releasing accurate information about the negotiations—something they have a spotty record on—the fear-mongering about the likely outcome doesn’t capture its complexity. Luckily for Obama, as things are lining up opponents of a deal aren’t themselves much interested in nuance and complexity. Aside from a few hardline pro-Israel Democrats, most of the opposition will come from Republicans and hawks in the Bill Kristol mode—in other words, those who, like Netanyahu himself, have poor records on matters of war and peace. When the administration comes out and focuses on how opponents of a deal are pushing the United States to war, the hawks will object that they are being labeled warmongers. The administration isn’t quite making the “warmonger” argument, but the salient point is that killing a deal would bring us closer to confrontation. That’s why inking a deal ASAP would be good policy, and why it’s the high road to delivering the ultimate slap to Netanyahu.